American rock band The Used is hitting the road in 2016 to celebrate their 15th anniversary. Everything kicks off on April 5th, 2016, in Seattle, Washington, and their tour will take them to a selection of cities across the United States, before wrapping up on May 28th in Los Angeles, California. 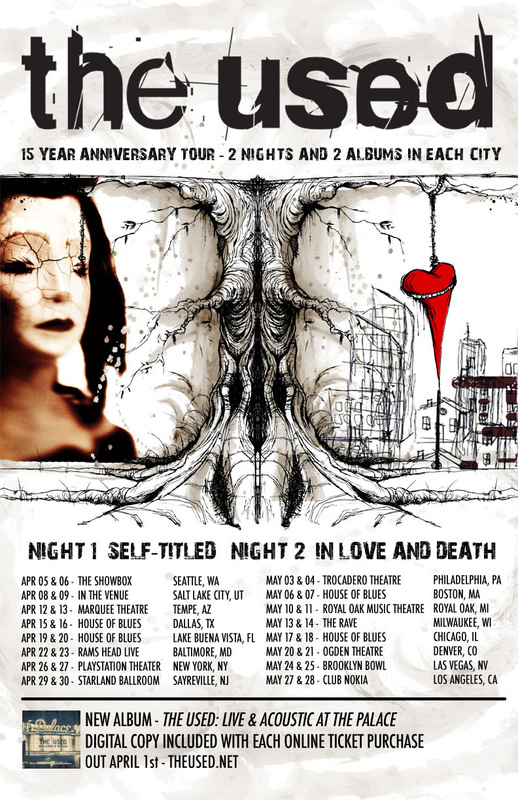 The Used have announced two consecutive dates in each city, where they will be performing all of the songs that are found on their 2002 self-titled album, The Used, along with all of the songs that are on their 2004 album In Love and Death. Additionally, the band has plans to play many other fan favorites each evening, because they have released 2 EPs and 6 albums, including the two that will be showcased entirely. And, speaking of albums, The Used is gearing up to release a live CD/DVD on April 1, 2016. Despite the release date falling on April Fools’ Day, this is really happening. 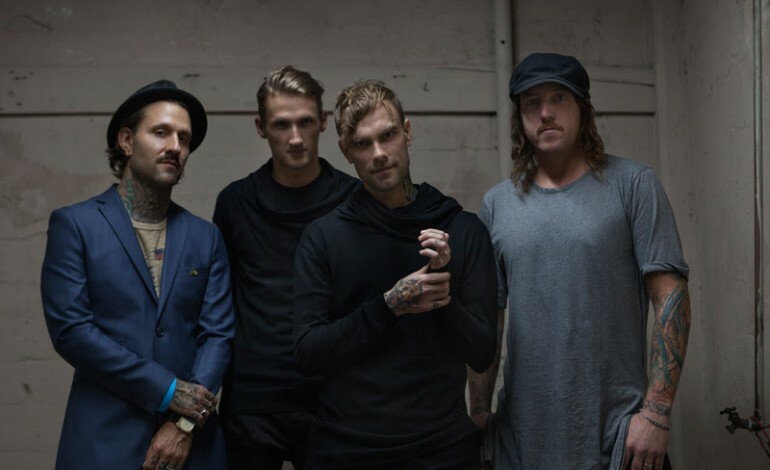 The album, The Used: Live & Acoustic at The Palace, was recorded at the band’s “intimate unplugged storyteller performance,” which took place last month at The Palace Theater in Los Angeles, according to a press release. What does the band think of the performance that is presented on Live & Acoustic at The Palace? “I think we really captured the night perfectly and listening back to the mixes it reminded me how music can allow us to be children once again and once you open yourself up to that emotion it’s like a virus, it’s contagious,” lead singer Bert McCracken said in a press release. In order to present the collection of songs in an acoustic format, The Used worked with violinist and arranger Hiro Goto to nail down the strings, harp, and vocal parts for the featured 3 Gospel singers. The final result “helped the band bring out dimensions in these songs that they didn’t even know existed,” a press release notes. To catch the band on their 15th anniversary victory lap, check out the list of dates, below.